Leader of the notorious Deadlock Gang, Ashe is a rebellious gunslinger who plays by her own rules. Ashe is the ambitious and calculating leader of the Deadlock Gang and a respected figure in the criminal underworld. Born into a wealthy family, Ashe grew up surrounded by privilege. Her parents were highly sought-after business consultants and coaches for powerful CEOs around the world. Though her parents paid little attention to her (mostly leaving her in the care of the family’s omnic butler, Bob), they ensured that Ashe had every opportunity to succeed. But a chance meeting with a local ruffian, named Jesse McCree, and an impromptu string of crimes committed together opened her eyes to her true calling. The satisfaction of outwitting her targets and the thrill of getting away with it set her on the outlaw path. No longer having to focus her energies on squabbles with the other gangs, Ashe is now writing her name across the American Southwest with a string of audacious heists and operations that has put her at top of the authorities’ most-wanted lists and cemented her legacy as an outlaw legend. She can turn any situation into her favor with her Coach Gun, a short-range, high-impact sidearm that deals big damage and clears the way by knocking back nearby enemies. It can also be used to knock herself back for added mobility, either to reposition herself for a clear shot, or to escape pursuing enemies. 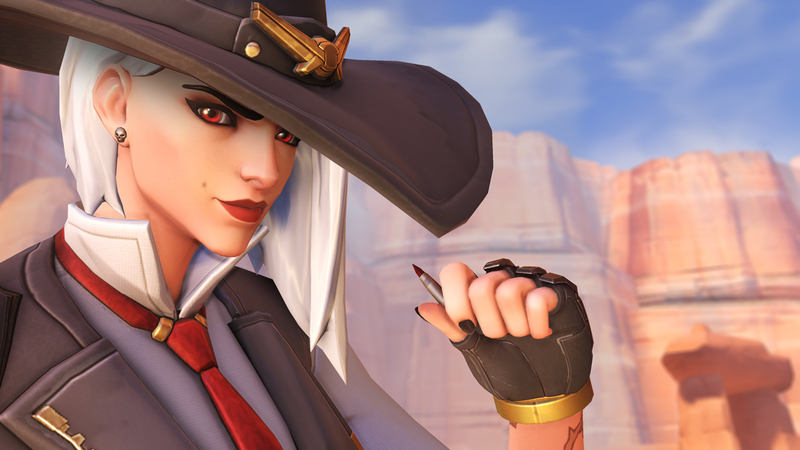 Ashe steps in as the 16th member of the damage lineup in Overwatch, and she shines at dealing high damage from mid- to long-range and disrupting enemy formations. Since the Viper uses single-shot reloads rather than requiring a full clip, Ashe can always be counted on to have a bullet at the ready. She deals devestating damage from long range when she takes a moment to aim down her sights, and her unsighted shots can be used to finish off nearby enemies with low health. Ashe’s Dynamite gives her the ability to deal with groups of targets and contest key points on the map by forcing enemies into a tough decision: stand your ground and suffer big damage and the persistent burning effect, or scatter? Ashe can also detonate her Dynamite midflight with a quick hip shot. 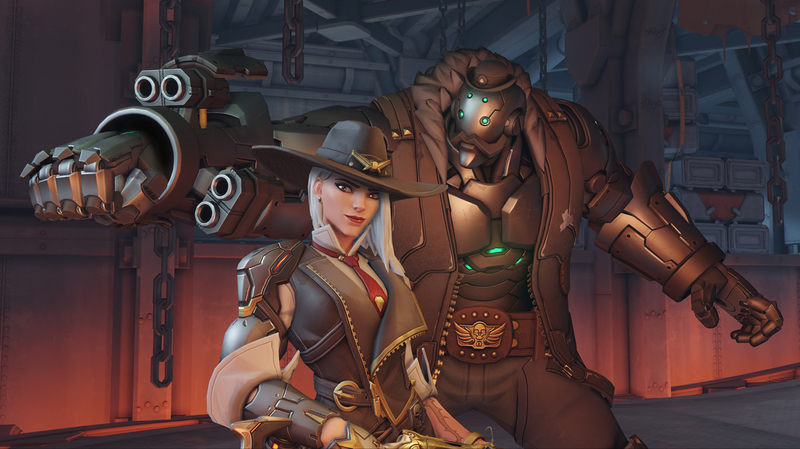 The Coach Gun can displace enemies and provides Ashe some situational mobility, enabling her to reposition by propelling herself into the air. It’s a versatile, deadly tool, useful for knocking foes off prime vantage points, foiling ultimate abilities, and scoring eliminations by sending enemies flying off the map. 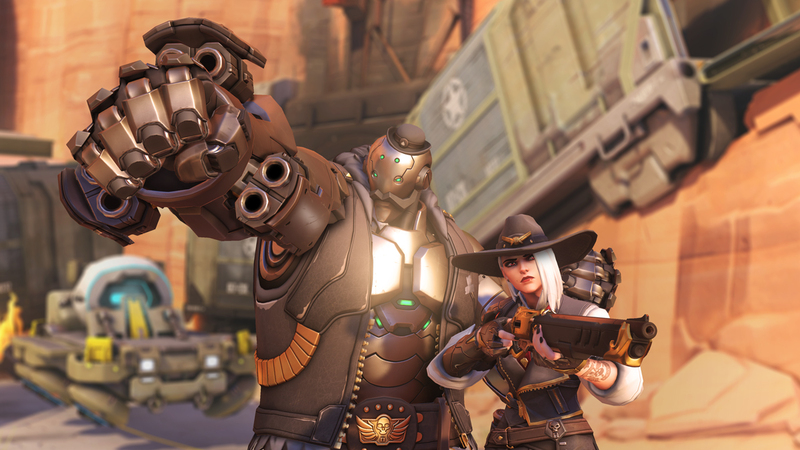 B.O.B., Ashe’s ultimate ability, summons Bob, her stalwart omnic companion. Bob acts as a temporary member of the team, and he’s very good at contesting territory with his disruptive capabilities and immense firepower. He can travel a long distance as he charges into the fray, only coming to full stop when he hits a solid structure. Note that Bob will charge wherever you instruct him to, so be careful to not send him off a ledge! For best results, point him at groups of enemies or slow his roll by directing him toward a wall, where he’ll have a choice of targets. Enemies that Bob comes into contact with will be sent flying into the air, at the mercy of his brutal arm cannons. Due to his high damage-dealing capabilities, Bob tends to draw a lot of enemy fire, so take advantage and flank the opposing team or pick off distracted hereos. As a member of the team, Bob is able to contest objectives, preventing enemy teams from pushing the payload or securing points until he has been eliminated or leaps away. 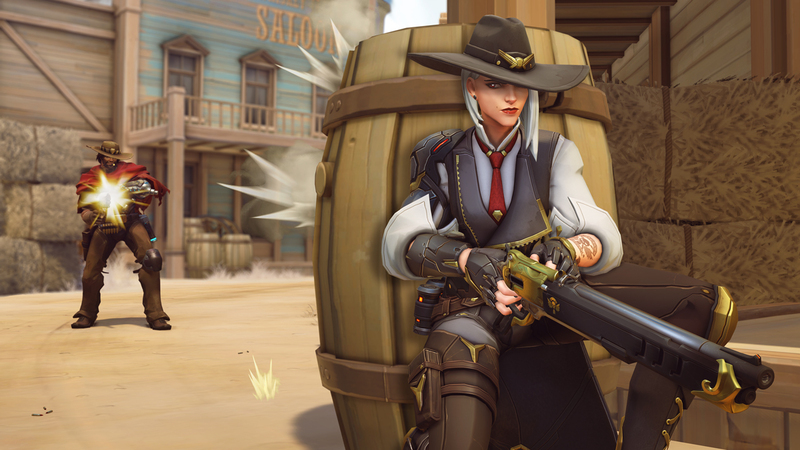 Ashe is available for testing right now on the Overwatch PTR! 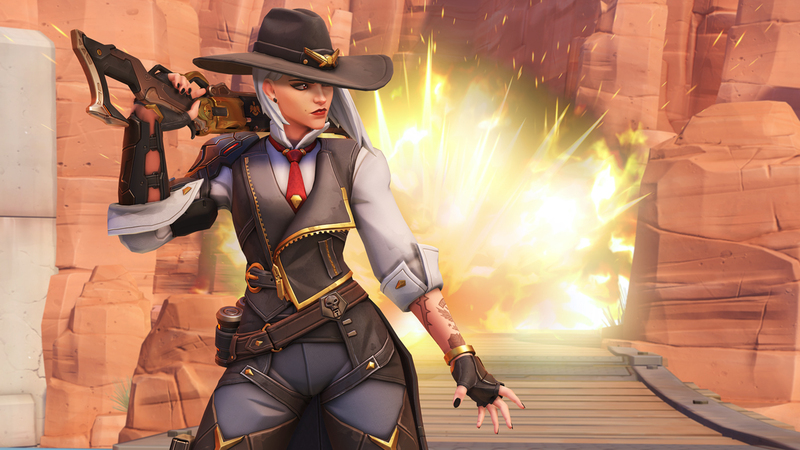 If you’d like to help us get Ashe into gunslinging shape, all you need to do is blast your way onto the PTR, then head to our official forums to report your findings. 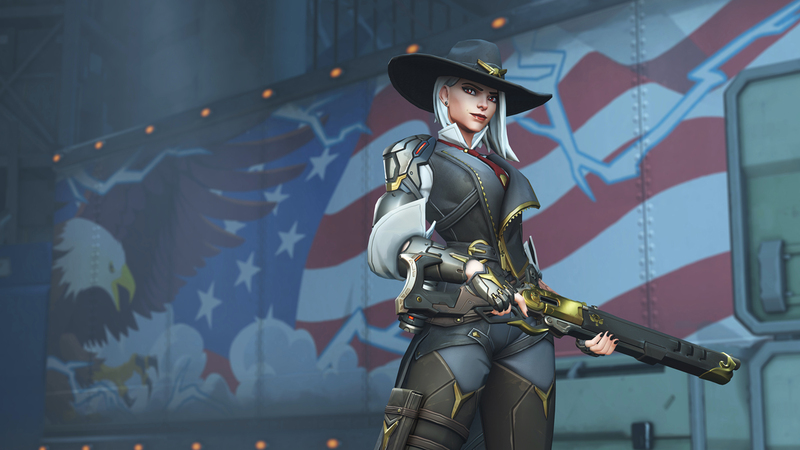 Watch the Developer Update below to learn more about Ashe on the PTR.